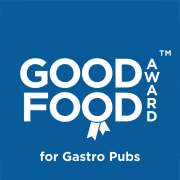 Elephant and Castle Hemingfield, Tingle Bridge Lane, Hemingfield, Barnsley have now been awarded our highly revered Good Food Award for Gastro Pubs – Gold Seal 2019. Our Gold Seal is the highest accolade bestowed by the Good Food Awards and is reserved to those achieving our award for three consecutive years or more. Premises must maintain the same exceptional standards that gained them initial entry into our awards over a three year period. Truly making this achievement the marque of distinction. These premises have demonstrated exceptional levels of food quality, service and value when compared to our industry benchmarks in their category and have now maintained this formidable standard for four consecutive years. The Elephant and Castle fulfils an ambition to serve a fabulous choice of amazing home cooked meals in our home village. The Pub dates back to the 17th century when it was a coaching Inn. Over the years it has had many alterations and refurbishments. In our latest refurbishment, just a few months ago, we left the actual layout the same but we now have a well established bar area as well as a well equipped dining area. The heavy furniture sits on extremely lush carpeting giving the pub a very plush and up market feel to it.